Southern Chateau: Building, Renovating, Redecorating: Should You Hire a Designer or Do it Yourself? 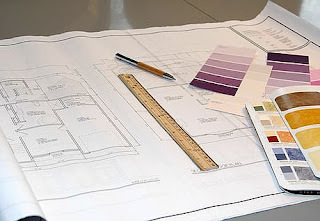 Building, Renovating, Redecorating: Should You Hire a Designer or Do it Yourself? If the job is large, do have 6-8 hrs a day for weeks or months to devote to sourcing, shopping, quoting, dealing with subcontractors? Are you a good communicator: ie. drawings, specs, ideas ,pictures. Do you have an eye for proportion, scale, color, etc.? Are you handy with tools, demolition? Do you have the time and inclination to clean up every day after the mess? Do you have a place to receive shipped goods? Do you have access to craftspeople: ie. seamstress, plumbers, carpenters, painters, faux artists, etc.? Can you handle problems with logistics, schedules, personnel problems? Do you have access to wholesale vendors, fabric houses, to the trade sources? Can you handle everyone giving you differing opinions of what you should do? Do have time for status meetings, phone calls, checking on shipments, project management? Are you good at math and know formulas for determining fabric yardages, drapery fullnesses, sewing and fabrication terminology, floorcovering estimates, wallpaper estimates, etc.? If you are a woman, can you handle working with predominately male tradespeople and installers? Are you comfortable with people working in your home? How much is your time worth as opposed to the money saved by doing it yourself? When you are deciding between the two options, be honest with yourself: will you take on design and project management because you truly enjoy it and have the talents needed, or because your main motivation is saving money? If your honest answer is saving money, you should think twice. It is demanding and it is a lot of work. By the time it's all said and done, the savings alone just may not be worth it. I think the concern for clients not used to working with a designer is that one will walk in and insist on spending, spending, spending while charging their own exorbitant fees. The truth is that most qualified designers can save you money, or at least make sure the budget is allocated to places where it will show. So often I walk in houses done by the homeowners without help after the building or remodeling process and am saddened when I realize how much better that money could have been used by a creative professional. So true. A very bad misconception as well as the sheer amount of work that goes into it.